Most of us struggle with the wide ability ranges in our classes and are scrambling to find worksheets and textbooks for all of the varying levels of students, which quickly turns into a logistical nightmare! Many teachers think that manipulatives are used for remedial students, or those struggling with the abstract concepts, however, when used effectively, manipulatives are a perfect way to differentiate your math class. Students can typically be categorized as one of the following four types of math students: low functioning, middle of the road, good memorizers and strong. Below are descriptions and how using manipluatives helps each type. I believe that all students can become strong math thinkers and it is their experiences and learning styles that have shaped them into these categories, but we can provide opportunities for significant growth. 1. Usually a teacher will have a handful of students who are deemed as ‘low functioning’ math students. These students have struggled with math, often from an early age and they tend to become more resistant and fall further behind with every passing year. They display behaviours such as putting their head down and looking as though they are literally trying to disappear rather than engage in a math class. They have often developed a fixed mindset, which means they believe they are just not good at math and never will be. There are a plethora of reasons as to why these students have become this way but one thing we, as educators, need to understand is that there is no such thing as a math brain or a non-math brain! This is a myth that has pervaded our culture and is extremely damaging to students. 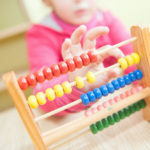 Every child has the capability to be successful in math (however, those with severe and certain specialized learning difficulties are the exception – research clearly states that students with learning difficulties in math often learn math best concretely and sometimes only concretely, which means using manipulatives). 2. Next, we have the ‘middle of road’ students, who always seem to perform satisfactorily in math. These students sometimes have good work habits and might have areas of strengths and weaknesses in math but are able to work through difficulties. Other times, they appear to be more capable but don’t have the work habits or interest to really engage in their math learning. 3. Thirdly, we have the ‘good memorizers’, this is the group of students who often appear to be ‘good’ math students but in fact, they are just really good memorizers. These students will succeed in procedural work and basic facts (which is just one aspect of mathematics) but they will struggle with problem solving, reasoning and do not have flexibility in their thinking nor number sense (all of these are really important for future mathematics). They often become frustrated when given problems that they don’t immediately know how to solve and also suffer from a fixed mindset, although theirs differs from the ‘low functioning’ students in that they believe that math is all about finding the right answer as quickly as possible. They will often not even attempt questions unless they know they can answer them correctly. They also make mistakes that show they are not checking to see if their answers make any sense, thus showing a lack of number sense. 4. Finally, we have our ‘strong’ math students, who have strong number sense and have good conceptual understanding of most math concepts. 1. ‘Low functioning’: the students who traditionally are thought be ‘low’ in math are often concrete, visual learners and so it’s not that they can’t comprehend the math, but they may not have understood it if it was presented mostly symbolically to them (numerically). They often excel at using the manipulatives because this learning style matches theirs and they can actually see and do the math. It is a wonderful experience to see a student who has often struggled in math “get it” and be confident enough to model their understanding for the whole class. I have witnessed students who were previously ‘low functioning’ students catch up to their current grade level by using manipulatives as a tool to understand the math conceptually. It’s extremely powerful as you watch their confidence grow and their fixed mindset start to turn into a growth mindset (proven to significantly increase achievement). 2. ’Middle of the road’ students may also be visual/hands on learners and using the manipulatives deepens their understanding. You will hear a lot of “ohhh” and “that makes sense” and “I get it!” from these learners. Using manipuatives not only offers the opportunity to really understand the math but also provides a problem solving tool for these learners. Furthermore, brain development research has shown us that brains generally learn first concretely (using hands-on), then pictorially and finally symbolically, so using manipulatives to introduce and explore math concepts is useful for all students, not just the visual and hands-on learners. 3. ‘Memorizers’ are often the resistors to using manipulatives because they don’t understand the math and they don’t like this feeling of not succeeding. They don’t care about why math works, they would rather memorize their way through the grades. Unfortunately, these are students that often really start to struggle in high school math because there simply becomes too much and too complex material to memorize. Using the maniuplatives helps them to develop number sense, conceptual understanding and reasoning skills. The hardest work with these students is helping them to change their fixed mindset about what math is all about. They need to see that math is about problem solving, understanding and reasoning more than it is about finding the right answer quickly. Although they can be resistors, using manipulatives is really important for these students as they need to develop stronger number sense. 4. Finally, the ‘strong’ students who do have a solid conceptual understanding often discover new relationships when they explore math using the manipulatives and it challenges them to think about math concretely, and how the concrete model relates to the abstract. They can also create and explore their own conjectures about connections and relationships within the concepts they are learning. Although these students may not need the manipulatives to understand the concepts as their peers do, using the manipulatives still provides a challenge for them and can deepen their learning experience. Manipulatives should be viewed as one learning tool for understanding numbers and mathematics. When mathematics instruction is approached as a way to provide students with opportunities to: discover relationships, share their reasoning, solve problems and understand mathematical concepts we are equipping our students for the future. 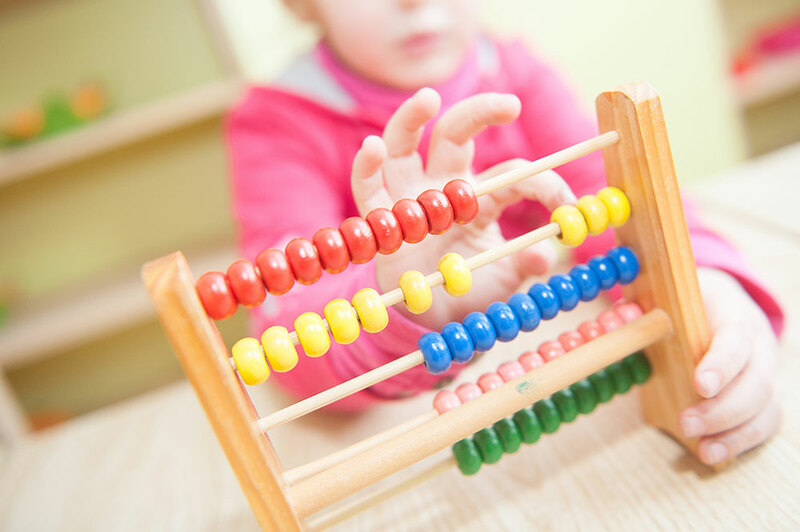 Manipulatives offer the opportunity for students to discover patterns or generalizations (for example: why multiplying decimal numbers is so similar to multiplying whole numbers) while also understanding why the mathematics works the way it does. Students can use the manipulatives to explain their thinking and collaborate with peers. The biggest reward for teachers when they teach this way is that they feel great knowing that they are meeting more of their learners’ needs and more of their students are actively engaged in learning math. Previous PostPrevious Part 2: How Do I Assess This New Math Curriculum?